Here at Movement For Modern Life, our mission is to make Yoga super-accessible for all and we love to hear your tales of Moving wherever you are. Monika Sleszynska tells her story of taking MFML to a fairytale oasis and the magic of yoga coming alive. I want to reach out to anyone who practices Yoga, travels or is even just thinking about starting an inner journey. Whatever path you pick, you will get there. Each step will bring you closer. For me it was hypnosis, yoga and travel that allowed me to journey to something very beautiful inside of myself. I hope that others will find this also. Many of you already have. Many are on their way. Others will join. Together we are journeying towards greater love, finding our true self and expanding our life experience. I’m based in London where Yoga is widely available. One of the places I practices is at Indaba Yoga with Stewart Gilchrist and his group. Those who are familiar with Stewart, will know that his classes are a good enough reason to not to stay away from London for too long. It is wonderful to practice yoga with a group of fellow devotees and an amazing teacher. But the real beauty of Yoga is that we can take it with us everywhere we go. Yet we also know that if we are not very disciplined or comfortable practicing by ourselves, it can be a challenge to maintain our practice. Movement for Modern Life makes such a difference with this dichotomy and my experience in some of the remotest locations on the planet is testament to that. I first came across the Movement when I visited their stand at a Yoga Show. Some months later I found myself in a Yogasana class with Stewart – one that was being filmed to be viewed online. It justified in every way my decision to join the Movement for Modern Life as I realised all I would need was a laptop and internet access to bring the class with me on my travels! This proved to be a true blessing as I ventured to one of the most remote places in the Egyptian desert. I travelled extensively throughout Egypt and I cannot do justice to its beauty and diversity in this short space. Siwa is below sea level and the air is highly oxygenated. I found myself in the idyllic setting of the village of Maraqui next to the salt lake and overlooking the Andrere Amellal Mountain. Miraculously, I had internet access… One morning I woke up just after 4am and started meditating. I opened my laptop and played the Yogasana Class. I had not eaten and had nothing to drink but my body naturally fell into the rhythm of yoga. I paused at times to extend the interval between the Asanas. It was an absolutely amazing experience. It felt as if I had been reborn in this highly oxygenated and remote Siwan paradise and now the Siwan oasis holds a special place in my heart as the place where everything flowed together in a path of synchronicity. Egypt is a fairytale country with magic everywhere and kind people who will do their best to make dreams come true. I felt like Alice in Wonderland when I was there. Practicing Yoga enriched that magical experience immeasurably and I felt movement like never before through my whole body. I wish that all of you may discover the magic and beauty of Yoga wherever you are and especially when you are travelling in remote and beautiful locations. 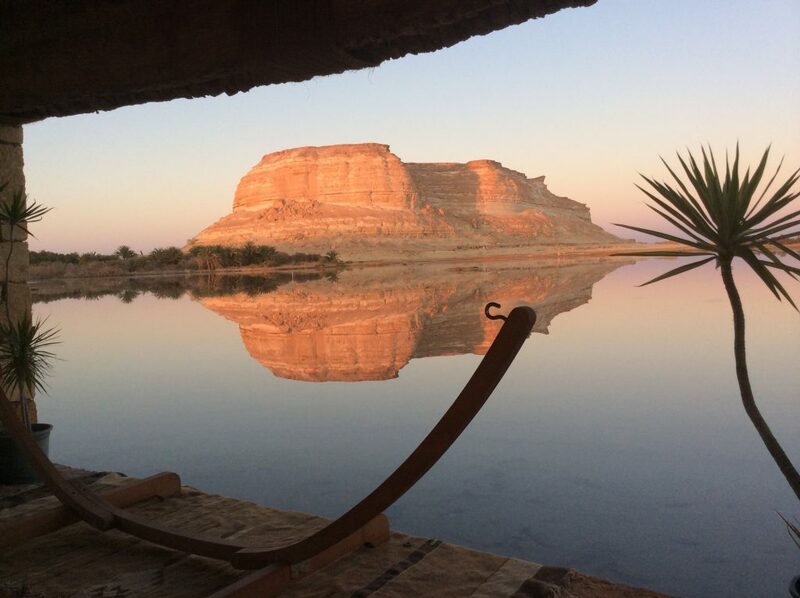 Dare to visit the enchanting and eco-friendly Siwa Oasis where the natural environment and Siwan architecture make for an unforgettable stay. Try the Taziry Eco lodge with the sustainable village – a perfect place for Yoga and suitable for the environmentally conscious traveller. It will provide magical nights under the stars and the most amazing sunrise and sunset vistas. Yoga heaven. With deepest gratitude to Movement for Modern Life for propelling my movement even in the remote idyll of Siwa. Where’s The Most Beautiful Place You’ve Rolled Out Your Mat? We absolutely love to hear where you’ve taken Movement For Modern Life whether it’s near or far! Tell us about your movement in the comment box below! 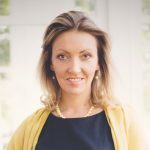 This blog was written by London based hypnotist and passionate traveller, Monika Sleszynska. Find out more about Monika and her trips to Egypt at www.ancientpassion.com and www.monikasleszynska.com. This entry was posted in Movement // Yoga and tagged egypt, monika sleszynska, siwa, travel yoga, yoga for travel on September 12, 2016 by Edith Johnson.